Product is ready-to-use rasins with a soft and wholesome texture and should be of average quality for the season. 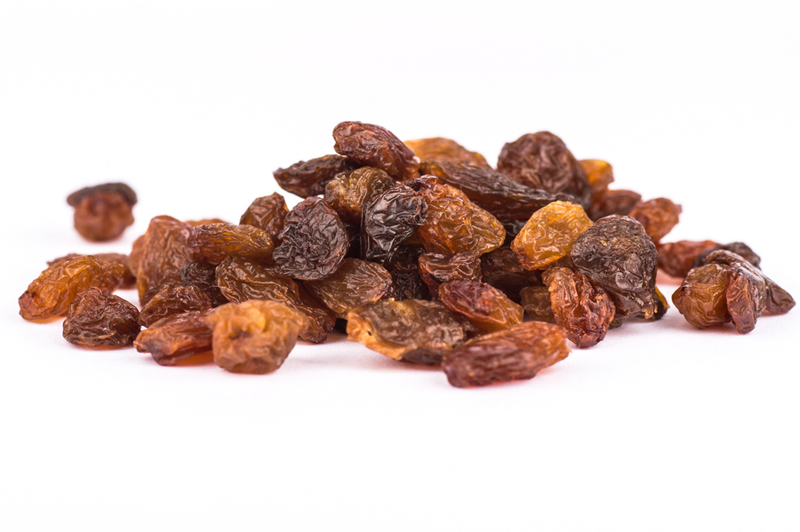 Product should have a typical raisin taste with no objectionable flavours or odours. PACKED IN A FACTORY THAT HANDLES NUTS, SESAME SEEDS, GLUTEN, SOYA & SULPHITES AND STORES PEANUTS. The raisins come from a BRC accredited supply.